The Hahnenkamm in Kitzbühel, Austria. The world’s most notorious downhill ski slope. A blood-curdling, insane slope with blind drops and daredevil jumps. Would you dare run down it? 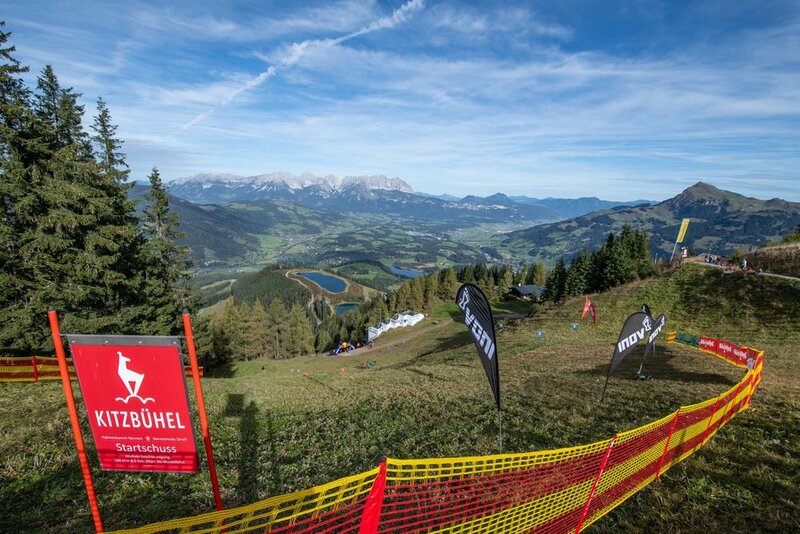 Now you can run down The Hahnenkamm. Runners will set off in 30 second intervals, through the gates of the iconic start-house at the top of the Hahnenkamm. From there it isn’t a straight forward drop to the finish. Gates will be set down the course and skill will be required to weave in and out of the gates, while at the same time mastering the insanely steep slope. The fastest 30 runners in both the mens and women’s categories will qualify for the final run where, as in skiing, finalists will start in reverse order at one minute intervals. The fastest male and female in the final will be crowned champions. To descend quickly requires skill, strength, technique, bravery and a whole lot more. Want to improve your own downhill running speed? In 2018 inov-8 launched the G-SERIES running shoes, the world’s first to feature graphene enhanced rubber, giving runners the WORLD’S TOUGHEST GRIP. 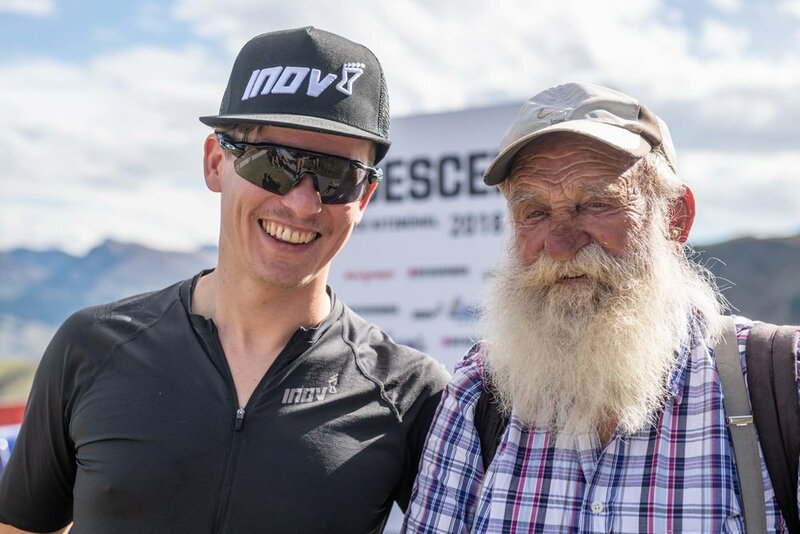 To celebrate, we co-staged another world-first, a running race down the WORLD’S TOUGHEST DOWNHILL, the Hahnenkamm ski slope in Kitzbühel, Austria. Forged in the Lake District fells of Great Britain 15 years ago, we have always loved the thrill of running fearlessly down steep fells. Now we’re bringing a taste of British fell running to the Austrian Alps with the inov-8 Descent Race. 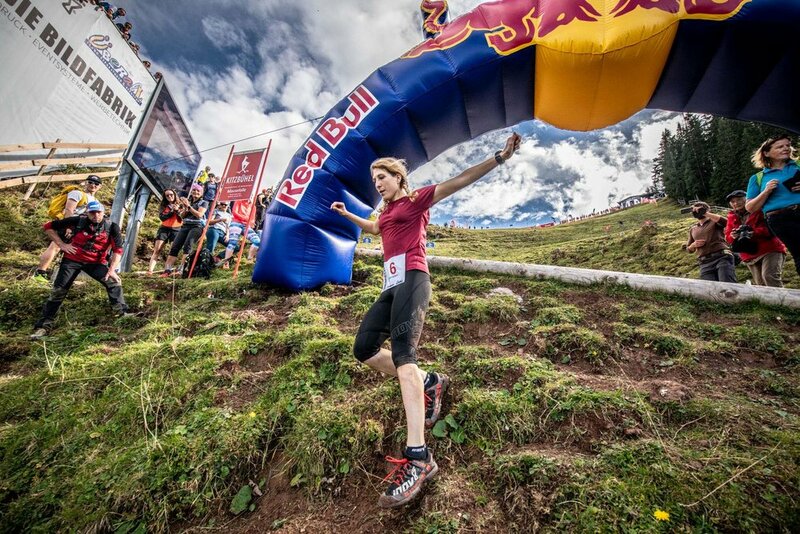 Are you ready to experience the ultimate downhill running thrill? Want to run fast down hills? Make sure your kit is light and fast! Our recommendations include X-TALON running shoes with aggressive grip as well as super-lightweight technical tees and shorts.